We provide solutions for different needs within the metrological software field. If you need to scan and capture point clouds your actual pieces, M3 Captureis the software you need. And if you go to manage massive point clouds and digital parts, M3 Server gives you the best solution on the market. A breakthrough in the whole process of scanning and point cloud management is able to work in a simple and agile way in mobility. This M3 Tablet gives you a versatile and professional solution for you to work with point clouds from your tablet anywhere. Professional software for high performance. Versatile, powerful and flexible solutions. Solve all the comprehensive process of scanning and point cloud management. Integration and connectivity between different software packages. 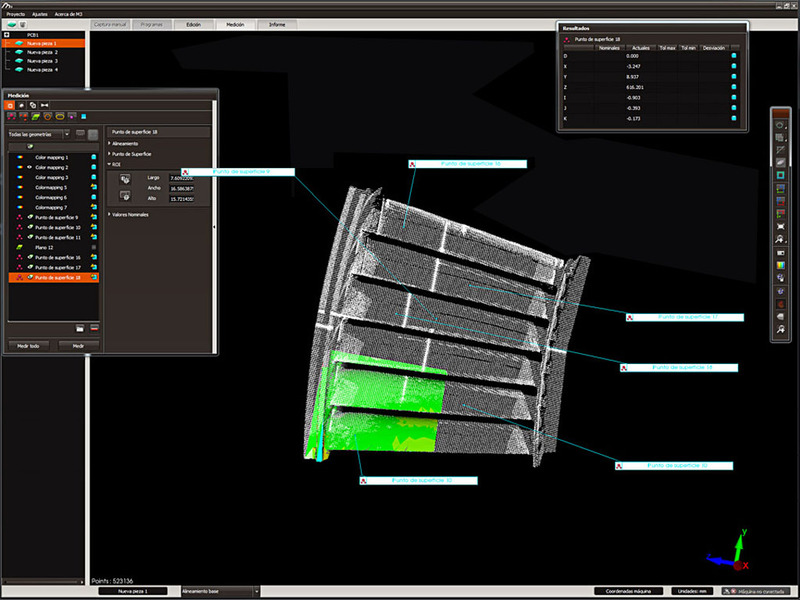 M3 Capture: Software scan and capture point clouds. M3 Server: Storage Management Software. M3 Tablet: Software analysis and exploitation. M3 Compact: Software package that includes M3 + M3 Capture Tablet.